20370 Carriage Ct, Estero, FL.| MLS# 219011267 | Southwest Florida Residential Real Estate for Sale. PET FRIENDLY HOME on the outside perimeter offering spacious backyard. 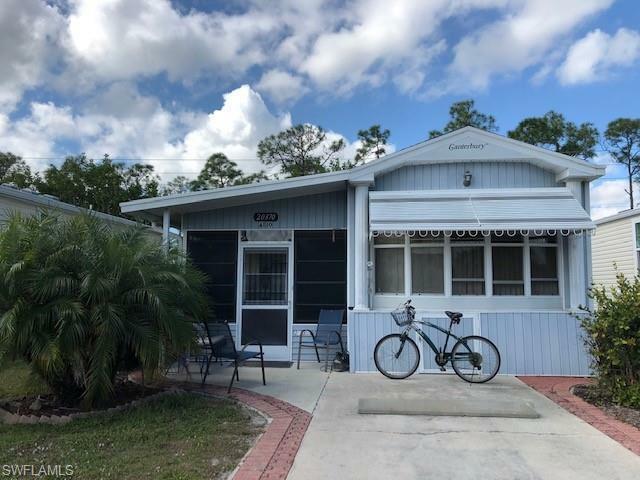 This 1/1 has been well maintained and perfect for someone wanting to spend their winters, use as a rental property, or possibly remove and replace with brand new. Riverwoods is centrally located in Estero and residents stay busy with lots of activities organized by their own full time Activity Director. Riverwoods residents own 5 acres of riverfront property with boat ramp on the Estero River. Bring your boats or buy one when you get here. Storage available in the boat storage area. Riverwoods is located close to shopping, restuarants, airport and beautiful beaches.